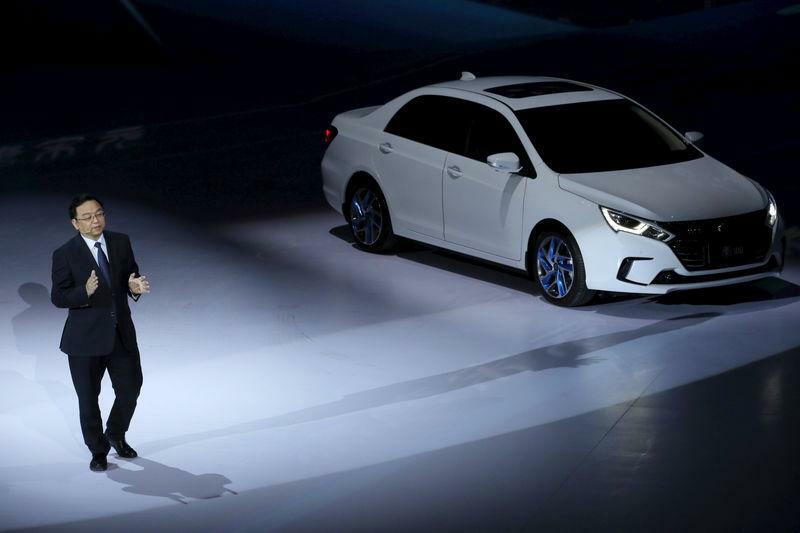 BEIJING/SHANGHAI (Reuters) - Chinese electric carmaker BYD Co Ltd <002594.SZ>(1211.HK), which is backed by U.S. investor Warren Buffett, said on Monday it expected full-year net profit to drop almost a third as competition heats up in the world's largest auto market. China's market for electric cars is booming, but profits in the sector have been squeezed by intense competition between established firms and start-up rivals, as well as moves by Beijing to slash subsidies for the market. Although sales of traditional petrol-engine cars have stalled, sales of NEVs have been buoyant in China, rising 81 percent in the first nine months of the year to 721,000 units, China's top auto industry body said this month. Analysts also expect BYD's main local rivals Geely Automobile Holdings Ltd <0175.HK> and Great Wall Motor Co Ltd <601633.SS>(2333.HK) to miss their full-year sales targets. Great Wall reported a record quarterly sales drop on Friday, blaming the sharp slowdown in China's auto market that has spooked automakers and dealers alike. China's overall car sales fell 11.6 percent in September, the steepest monthly decline in nearly seven years, stoking concerns of a first annual market contraction in decades.